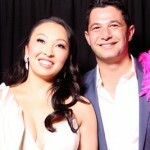 Photobooth hire in Sydney will never be the same with the In the Booth team on the scene! Together with our neighbouring team on the Western side of the city, In the Booth provides complete coverage for Sydney photo booth hire for weddings, parties and any other social event. We generally attend events in the Central Sydney area, but are happy to travel to Wollongong, Newcastle and beyond. Sydney’s world class parties, conferences and weddings are even more fabulous now that photo booths are an essential ingredient to any successful event! We will give your celebration the professional polish our Sydney friends have come to expect while also bringing the fun and keeping the party going all night long! We manage and run ‘In the Booth’ Sydney South. We work very closely with Sydney West to ensure that all of Sydney’s vast territory is well serviced for their Photo Booth needs! We are unashamedly Photo Booth addicts ourselves, a healthy obsession that began at our own wedding a few years ago. We learnt there that Sydney-siders, more than any other group, seem to really let go once they step ‘In the Booth’, and that’s when we see tears of laughter roll down the cheeks of 19 to 90 years olds a like. We are passionate about events and parties with almost a decade of experience doing events large and small all over the country. We’ve worked on some of Australia’s largest festivals over the years, but it’s the small, intimate weddings and parties that we truly love the most. When we’re not booth’n it up, you’ll find Syl taking our dog Penny for a swim at the beach, and CJ watching whatever sport he can find! For Sydney photo booth hire, we look forward to hearing from you! 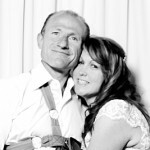 "I just wanted to say a HUGE thank you for our photo booth at our wedding on Sunday. The booth set up looked amazing in the foyer at Sergeants Mess and all of our guests loved it. They had such a great time. A special thank you to Qasim. He was such a lovely guy and very accommodating to us and our guests. It is definitely a credit to your business when you have fabulous staff working for you. I definitely chose the right photo booth for our wedding. You guys are without a doubt a cut above your competitors. The size, quality and design is well worth the money. Thanks again!" "We had a fantastic time and the booth was an absolute hit. The highlights reel is fabulous and I’ve already shared it on Facebook with everyone loving it. I have liked your Facebook page and left a review but I’m also sending a reply to personally provide the positive feedback and to thank yourself and Jack, the attendant, for an amazing event. Jack arrived on time and was an absolute pleasure to deal with. He set the booth up superbly, made sure everyone’s experience in the booth was fun and smooth, and had a smile on his face the entire time. So I have to say the booth was a highlight and everyone had so much fun. I would thoroughly recommend having an In the Booth photo booth at any event and we are still getting joy from the album of photos and now the highlights reel. Thank you so much." "In the Booth Team, from the bottom of our hearts thank you so much for helping us have and create the most magical and memorable wedding possible. Our guests absolutely loved the booth space, props and the fantastic Mustafa. Mustafa went above and beyond to provide a professional yet laid back experience, allowing our guests to really let their hair down. Like I said previously, he is an asset to the company. Syl and CJ, your communication has always been promt, warm and a pleasure. The actual booth print outs are also of the highest quality. We absolutely loved our In the Booth experience and will definitely be recommending our family and friends use this awesome experience. Thank you again!" What is it you love about providing photo booth hire services in Sydney? Tell us about some uniquely Sydney touches you have seen at an event? Sydney is famous for a lot of things, but probably none more than the beauty of Sydney Harbour. When you mix that with a great party or celebration, then you certainly do get a uniquely "Sydney" event. And that's what we love; the atmosphere that the mix of the Sydney people, the Sydney landscape and our wonderful booths create. Mainly two things; Our technology & our service. 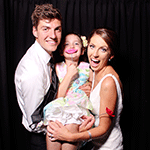 Being one of Australia's leading Photo Booth companies we provide an unmatched service of quality and reliability. Our unique "Guest Cam" service (allowing photos to be taken via mobile phone and sent directly to the booth for printing) has been an amazing addition for our guests! That, AND the ability to instantly upload your photo booth photos to social media always gets people talking. But perhaps more often than that we receive comments on our service, right from the time of booking with our incredible staff at head office, all the way to the delivery of your photos after your event - every care is taken to make your special day even more special. Planning, planning, and then a little more planning! The devil is in the details, and with almost 10 years in the events industry we've learned a thing or two about getting the little things right. Good communication is key, and that is something we pride ourselves on. Get outside! Sydney is a city designed around the great outdoors, which is a reason we also do outside weddings and events. In the past Sydney South has had events on boats in the Harbour, at the Opera House, the Sydney Town Hall, the Botanical Gardens, Cockatoo Island, Sydney Olympic Park, Skyscrapers overlooking Circular Quay, and Casinos overlooking Darling Harbour. It's known as one of the world's most beautiful cities for a reason, so get out there and enjoy it!